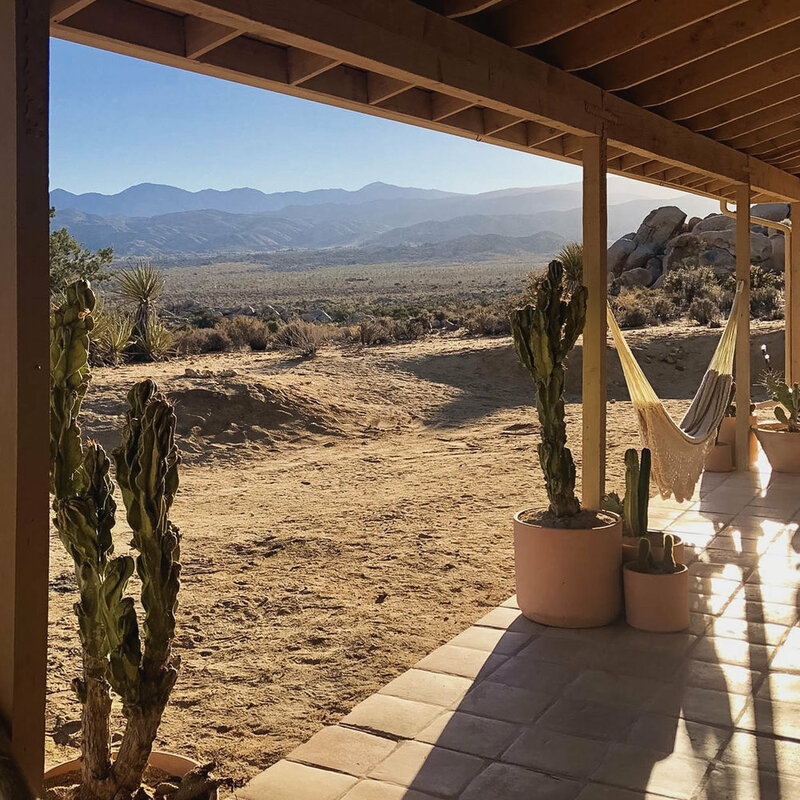 This beautiful High Desert Ranch House situated on 43 acres of rolling foothills in Pioneertown, California, is ready to host your production. 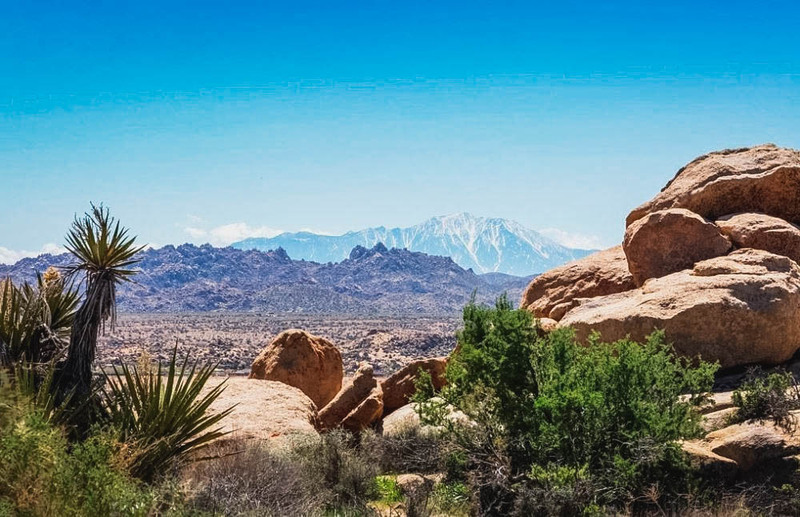 The home shares the sloping side of a lava rock butte and features unobstructed views of the canyon below, from San Jacinto, Sawtooth to the San Bernadino ranges. 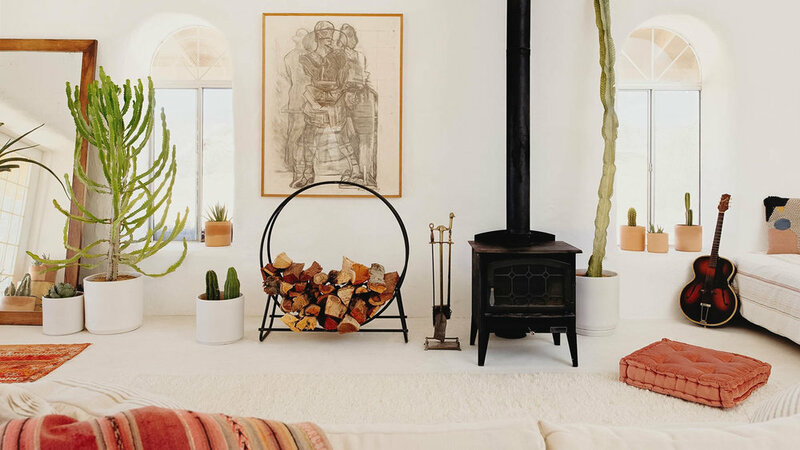 Ancient juniper, Joshua trees, yucca, sagebrush, buckwheat and cacti grace this property’s gorgeous backdrops. There’s even wildlife such as quail, hare, tortoise, roadrunner, and hummingbird. The modernized ranch house sits at the foot of a tall rock jumble. 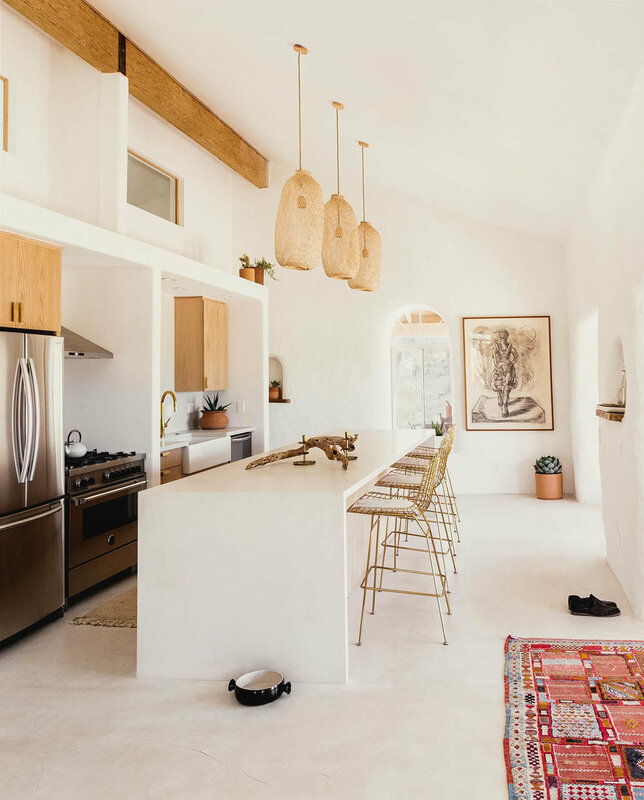 Three sets of french doors connect the outdoors with the home's open floor plan. Also featured are vaulted ceilings, chef's kitchen with Bertazonni range, wine fridge, and more. There are custom hammocks & outdoor beds, and a separate studio set up for recording, staging, etc. The walled garden protects its native plants from high desert winds. Completely hidden from public view, this location offers total privacy for your production. Film permits are free through Kern County with three days notice. Our location is pyro, animal and stunt friendly, with the proper permits & safety personnel. Contact this film-friendly location today to book it for your next film or television production.